Straight from the airport, Richard Gage, AIA, stops by KJLL 1330AM the JOLT to interview with “The Baron”, Chuck Aubrey on his Gnosis Radio program – June 26th, 2010. ANKARA — All but two of the nine Turks killed in an Israeli raid on a Gaza-bound aid ship were shot more than once, and five died from bullet wounds to the head, according to forensic reports. The documents, penned this month, were made available to AFP Tuesday by lawyers for the victims’ families, who have petitioned Turkish prosecutors to investigate the May 31 bloodshed on the Turkish Mavi Marmara ferry. “The findings make it clear the Israeli forces shot to kill the activists and not to overpower them,” one of the lawyers, Yasin Divrak, told AFP. The youngest victim, 19-year-old Furkan Dogan, a dual Turkish-US national, was shot five times, including twice in the head, the report said. A bullet that pierced his face was fired from close range, it said, adding he was hit also in the back of the head. The forensic experts failed to detect other close-distance shots on the remaining victims. All nine bodies had been washed before being brought to Turkey and their clothes were either blood-soaked or otherwise unfit for analysis, making it impossible to reach a conclusion on the ranges of most shots, according to the documents. Journalist Cevdet Kiliclar, 38, the web editor of the Islamist charity IHH that led the ill-fated campaign, was killed by a single bullet that hit him between the eyebrows, the report said. Divrak drew attention to the autopsy of 61-year-old Ibrahim Bilgen, which included the discovery of a tiny bag containing pellets, still intact in his brain, which the report said was was fired from a hunting rifle. “It is not a type of weapon that we have ever heard of,” he said. Israel says its commandos used force after they were attacked with sticks and stabbed as soon as they landed on the Mavi Marmara, which was sailing in international waters. But the activists insist the troops opened fire as soon as they landed. The bloody ending to the aid mission, which had aimed to break the Israeli blockade of the Gaza Strip, plunged ties between Turkey and Israel, once close allies, into deep crisis. 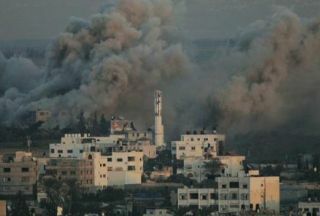 Turkey has dismissed a commission set up by Israel to investigate the raid, insisting for a UN-led international probe. "Sheer Criminal Aggression" Israel’s Attack on Gaza Flotilla Chomsky Says "No Credible Pretext"
Tucson, AZ, June 10, 2010 – Richard Gage, founder and spokesperson for Architects and Engineers for 9/11 Truth, will deliver a public talk on Saturday, June 26, 2010 at 7:00 PM at St. Mark’s Church, 3809 E. 3rd Street (just south of Speedway and west of Alvernon). Gage is a member of the American Institute of Architects and has specialized for 20 years in large steel-construction design and building. In his lecture Blueprint for Truth: The Architecture of Destruction, he provides a comprehensive analysis of the unprecedented global building destruction at the World Trade Center, which has been officially attributed to hydrocarbon fires. Gage explains why his evaluation casts grave doubt on the media stories and official reports by the 9/11 Commission, FEMA, and NIST, and indicates instead the use of controlled demolition. Architects and Engineers for 911 Truth is a non-partisan association of architects, engineers, and affiliates, who are dedicated to using scientific and engineering analysis to uncover the truths about the “collapses” of the WTC high-rises on 9/11/01. The organization has experienced phenomenal growth in its membership over the last two years, and currently has over 1,200 building professionals and practicing engineers on board, as well as over 8,000 laypersons. AE9/11Truth also maintains one of the most active Internet web sites questioning the official account of 9/11. Mr. Gage has presented his research in over 150 national and international venues, and on as many radio and TV interviews. He is an engaging and articulate guest and would be a fascinating discussant on any morning talk show or local media broadcast. Arrangements can be made through his Tucson hosts, whose contact information is given below. 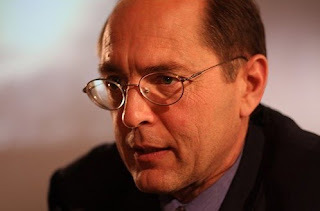 Richard Gage will lecture in the main chapel of St. Mark’s Church from 7 p.m. until approximately 9:00 p.m. Time will be allotted for questions after the presentation. Parking is available on site or on the neighboring streets. The lecture is open to the public and a donation of $7.00 is requested to cover expenses. Mr. Gage is the guest of the local chapter of 9/11 Truth, and can be contacted through program coordinators K. Woerner (403-5118) or J.T. Waldron (624-9710). 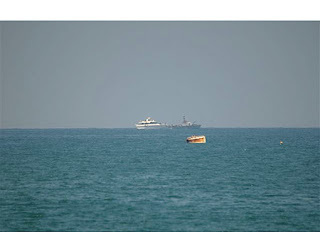 “Be sure we will never give Israel such a gift as to fight them or to have Hezbollah with us or to have any political party with us,’ the spokeswoman for the organizers of an aid flotilla from Lebanon to Gaza told The Times in an interview published Friday. “We have diapers, a lot of diapers, we have milk, we have treatments for cancer in children and medical supplies and clothes. If they fight we will not defend ourselves,” Semir El-Hajj said. The hundreds of female volunteers planning to set sail to the Hamas-ruled territory aboard the ship “Mariam” deny allegations that the flotilla organizers are connected to Hezbollah, the Lebanese terror group linked to Iran. “Our only weapons are faith in the Virgin Mary and in humanity,” said Rima Farah, one of the activists. The organizers told The Times that the women “all represent themselves”, are without political affiliations and include adherents to all the world’s big religions, including Judaism. It remains unclear when the convoy will depart. Egyptian newspaper Al-Shorouk quoted a member of the International Movement Against Globalization and the American-Zionist Hegemony as saying that the “Freedom Flotilla 2” will consist of five ships from France, six from Germany and one from Lebanon. 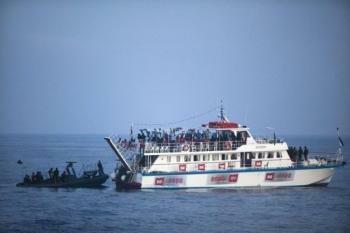 According to movement, which is based in Egypt, the vessels are expected to begin the journey to Gaza on July 15 under the banner “The Shahid Mohammad al-Dura,” referring to the 12-year-old Palestinian boy who the Palestinians claim was killed by the IDF during a furious exchange of fire with Palestinian gunmen in Gaza in 2000. The movement’s representative added that activists from several countries, including Egypt, Ireland, Alegrira and some Gulf states will take part in the sail. He said Israeli Knesset Member Hanin Zoabi (National Democratic Assembly), and Raed Salah, the leader of the northern branch of the Islamic Movement in Israel, have already confirmed their participation. The two Arab Israelis took part in the first sail to Gaza, during which Israeli commandos raided a Turkish ship, leaving nine people dead. The movement’s representative said former South African President Nelson Mandela (92) will announce whether he will be taking part in the flotilla in the coming days. Tehran, Iran (CNN) — Iran will not send a ship carrying humanitarian aid to Gaza as it had planned to do on Thursday, according to a report from the official news agency of Iran. 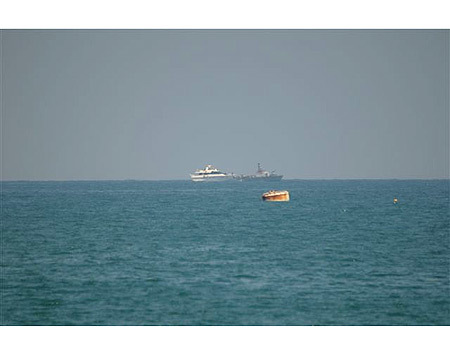 IRNA said that Sheikholeslam told reporters in the northern city of Rasht that the ship had originally been scheduled to depart for Gaza on Thursday, but that its departure was postponed until Sunday because of restrictions imposed by Israel. He added that officials then decided instead to cancel the trip altogether, shipping to Gaza the goods by other means, IRNA said. 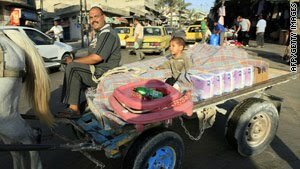 Israeli Prime Minister Benjamin Netanyahu announced this month Israel’s plans to ease its blockade of Gaza, a step commended by major powers and brushed off by Palestinian leaders. Palestinian officials said the steps were an improvement but called for the blockade to be completely lifted and the Israeli occupation ended. Israel’s announcement came three weeks after ships in Israel’s naval blockade sparred on May 31 with a flotilla of aid ships heading to Gaza. Israel’s military stopped the flotilla, killing nine Turkish activists on one of the ships in the incident, which drew international condemnation. Israel said its troops were attacked with knives, metal poles and other objects on one of the boats; the boat’s passengers said they were fired upon without provocation. Seventy-two bone fragments were found in about two dump trucks of debris that had yet to be sifted by forensics experts, US television’s ABC News reported Tuesday, citing the New York Medical Examiner’s Office. The office said DNA testing was likely to identify some of the remains, given the size and condition of the bone fragments. About 1,000 people of the nearly 3,000 victims of the suicide plane hijackings that brought down the two towers of the World Trade Center have yet to be identified.The experts sifted through 645 cubic metres of debris over three months to find the remains. 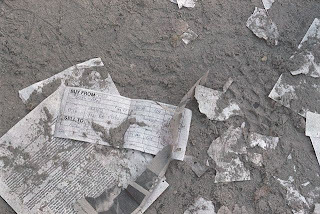 The debris was the last from the World Trade Center that had yet to combed.